Home » Blog » Airwolf 3D AXIOM ranked best 3D printer by Top Ten Reviews! 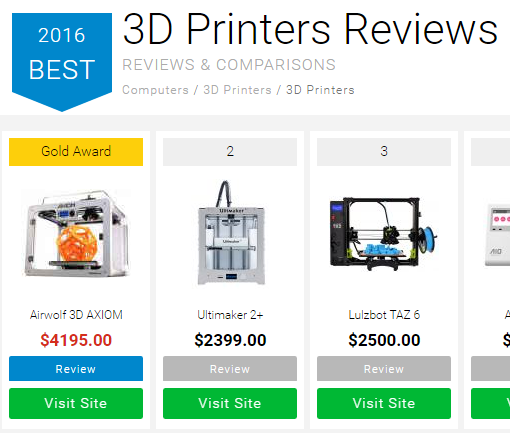 Airwolf 3D AXIOM ranked best 3D printer by Top Ten Reviews! The popular review and product comparison website Top Ten Reviews recently came out with it’s list of Best 3D Printers of 2016. The result? The Airwolf 3D Direct Drive printer clinched the top spot and is ranked as the best desktop 3D printer on the market! How does Top Ten Reviews rank 3D printers? According to their website, Top Ten Reviews put over 30 3D printers to the test, creating “over 50 models” and “over 100 hours testing.” Printers are then graded based on six groups of specs: print performance, filament, connectivity, calibration, printer design, and help & support. Why is AXIOM Direct Drive the best desktop 3D printer? 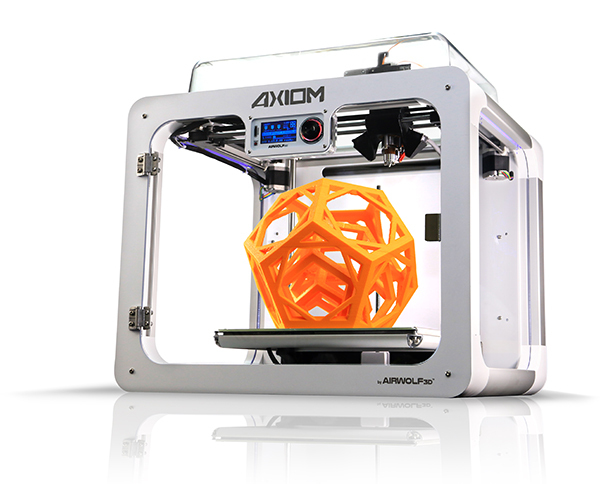 Airwolf 3D’s top-ranked AXIOM Direct Drive 3D printer. With our recent release of the new industrial AXIOM 20 printer, we have been celebrating our history of innovative “firsts”, or landmarks in our company history, that have put us squarely ahead of the pack. The AXIOM Direct Drive earned its place as one of those landmarks because it was the first and is still the only desktop 3D printer in its price class to offer the features that Top Ten Reviews agrees makes us the best 3D printer on the market: a large, enclosed build chamber, auto-leveling, high-temperature printing in over 40+ materials, excellent customer service, and more. Learn more about AXIOM Direct Drive. This entry was posted in Blog, Featured, News. Bookmark the permalink.